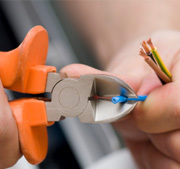 Wooten Electric offers general electrical services, electrical repair work, and system upgrades. All installation and repair work is available for both new and existing systems. We service all electrical panels—even those considered obsolete. Whether homeowner, property manager or home builder, you'll find Wooten Electric an extremely reliable electrical service team. We are recognized for the ability to perform high quality electrical work while consistently beating our competitor's hourly rates. Providing electrical services to Rolling Meadows, Highland Park, Lake Forest, Winnetka, Glencoe, Barrington, Glenview, the City of Chicago, & many other north and northwest suburbs.